Beautiful succulent plant endemic to Tenerife. 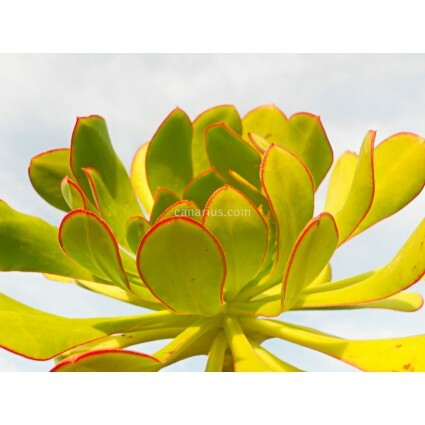 This species of Aeonium does not branch, it grows upright and it bears a huge piramidal inflorescence. "Urbicum" means "urban", because it is often seen growing among tiles on the roofs of the city of La Laguna, in an "urban environment". Attractive succulent plant endemic to Tenerife. This species of Aeonium does not branch, it grows upright to a variable height of 40-100 cm, and it bears a huge piramidal inflorescence, as beautiful as fireworks. Flowers can be pink or white-green according to the location. "Urbicum" means "urban", because it is often seen growing among tiles on the roofs of the city of La Laguna, in an "urban environment". Aeonium urbicum is perfectly suited to coastal mediterranean climates. It is used to winter rain but it is not finicky and can grow in any season. 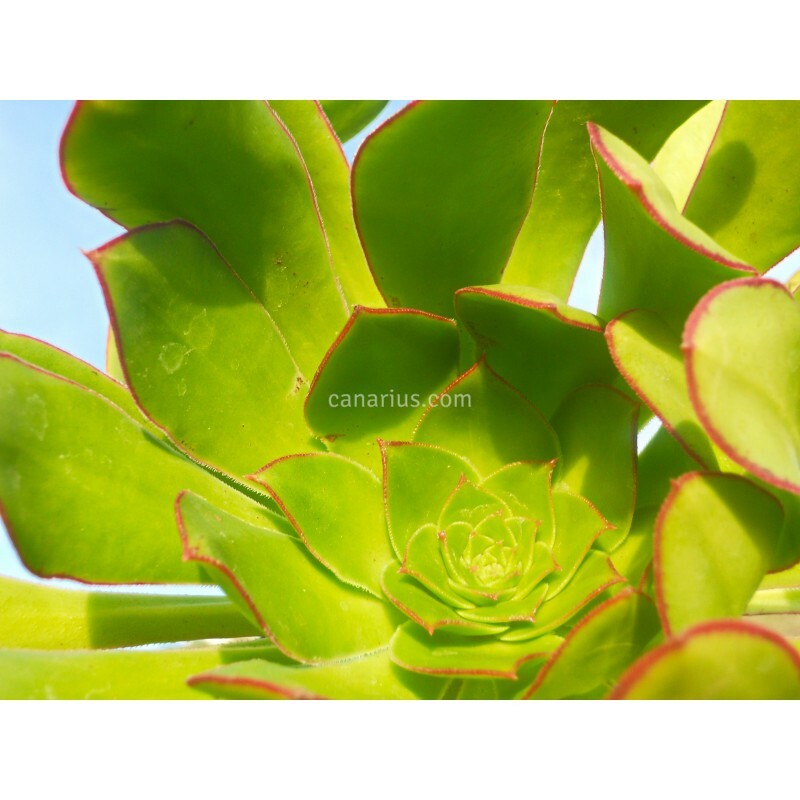 We offer Canarian native species. Of course they are not wild collected ! They are all from certified nurseries of Tenerife, reproduced for gardening purposes.